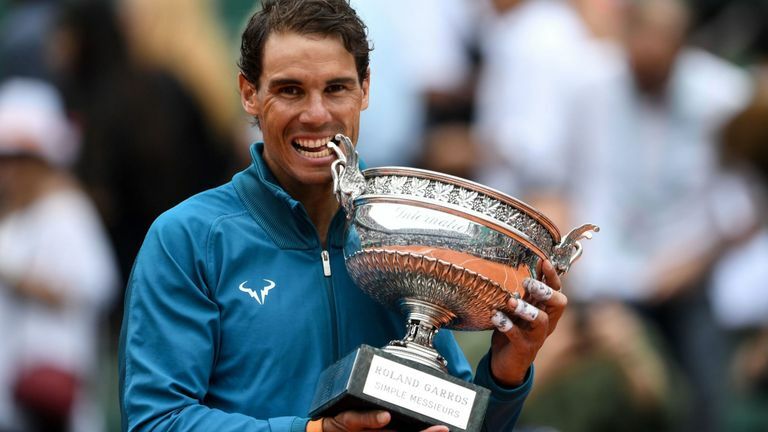 An imperious Rafael Nadal won a record-extending 11th French Open title by seeing off young pretender Dominic Thiem in the final. The world No 1 sealed a 6-4 6-3 6-2 victory to take his impeccable record to 11-0 in title matches at Roland Garros and to an overall career mark of 86-2 at the clay-court Grand Slam tournament. The 32-year-old Spaniard also secured his 17th major trophy, which moves him within three of great rival Roger Federer's all-time record. "It's really incredible. I played a great match against a great player," said Nadal. "I had a tough moment in the third set with cramps in my hand. I was very scared but that's sport - it was very humid. "To win 11 times here - it's fantastic and not something I ever dreamed of."